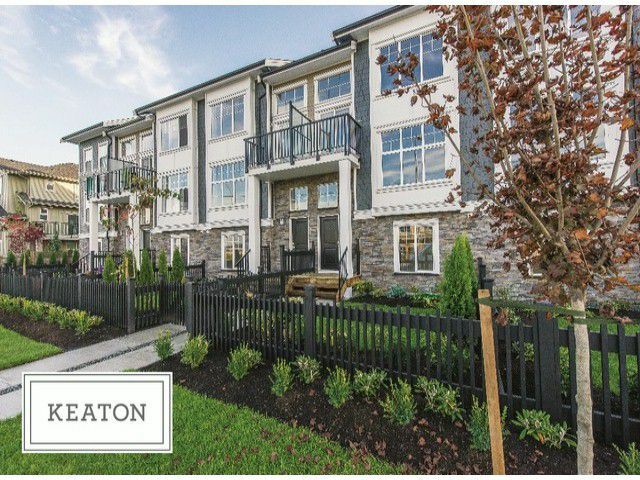 KEATON - An Exquisite collection of 3 and 4 bedroom townhomes in Langley's Yorkson neighborhood. Short walking distance to the Willoughby Town Center and the new Richard Bulpitt Elementary school just across the street. Large open plan layouts boast contemporary interior design featuring gourmet kitchens with family sized islands, stainless steel appliances and quartz countertops. Laminate wood flooring, main floor powder rooms, large laundry rooms and lots of storage. Spacious bedrooms upstairs with 4pc ensuite for master bedroom. Downstairs bedroom can be used as a flex room for all your needs. Side by side garage. Lush landscaping for large fenced front yards. Ultra low maintenance fees. Move in ready!